When accomplished dancer and teacher Irene Evans opened Blue Bell school of Dance (BBSD) in 1964, she had a vision: to bring all the passion, joy, and excellence of fine dance training to the heart of Blue Bell, Pennsylvania. More than fifty years have passed since our doors opened, and students of all ages have come to our studio for knowledge in Ballet, Pointe, Jazz, Modern, Tap, and Hip Hop. Known for our safe environment and talented dance instructors, BBSD welcomes children ages three and up to experience the thrill of creativity, the rewards of self-discipline, and the confidence that comes with accomplishments. Teenagers and adults come to BBSD to continue their studies, rekindle an artistic passion, or explore a new interest in dance. Under the direction of Angela Preston, BBSD continues its proud tradition of excellent dance education. Explore our site. Meet our teachers. 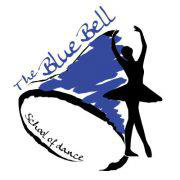 Enjoy the tradition that is The Blue Bell School of Dance.